The Netanyahu Victory. Is there a Path to a Just Peace? 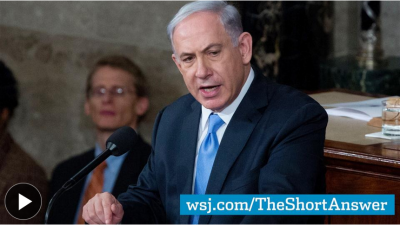 Benjamin Netanyahu emerged triumphant from the March 17 national elections, having secured the backing of nearly a fourth of the Israeli electorate and now controlling 30 of the 120 seats in the Israeli Knesset. He is now well positioned to form a governing coalition, anticipated to be composed of several right of centre parties. During the campaign, Netanyahu stoked fear of a nuclear Iran and announced his intention to abandon a two state solution to the long running Palestinian conflict. Netanyahu is now enterring his third consecutive term as Israeli Prime Minister, his fourth over all. Should he complete this term, he will become the longest serving Prime Minister in Israeli history. What accounts for the success of this credibly accused war criminal among the Israeli population? Professor James Petras thinks he knows. In fact, as he states in this feature interview, he is not at all surprised the election results went the way they did. He believes that a settler-colonial mindset that crosses over ideologies and classes is at the root of Netanyahu’s appeal. In the first half hour of the program, he elaborates on this perspective and on how it can inform meaningful activism in service of Palestine soliarity. In the second half hour, we hear from activist Bruce Katz about these and other obstacles facing Palestine solidarity activism in Canada. We also hear once again from Jeff Halper of the Israeli Campaign Against House Demolitions. He presents the human face of Israeli Apartheid, his take on the potential of BDS and the problematic portrayals of the Israel-Palestine situation in mass media. Dr. James Petras is Bartle Professor (Emeritus) of Sociology at Binghampton University in New York, and the author of numerous books an articles including the recent The Roots of Netanyahu’s Electoral Victory: Colonial Expansion and Fascist Ideology. Bruce Katz is the co-founder and Acting President of Palestinian and Jewish Unity (PAJU), a human rights organization founded in November 2000 working for a lasting settlement to the Israel/Palestine conflict based on the principles of human rights and the strict application of international law. Dr. Jeff Halper, is the co-founder and Director of the Israeli Committee Against House Demolitions (ICAHD) for the past 17 years, as well as a Nobel Peace Prize Nominee.